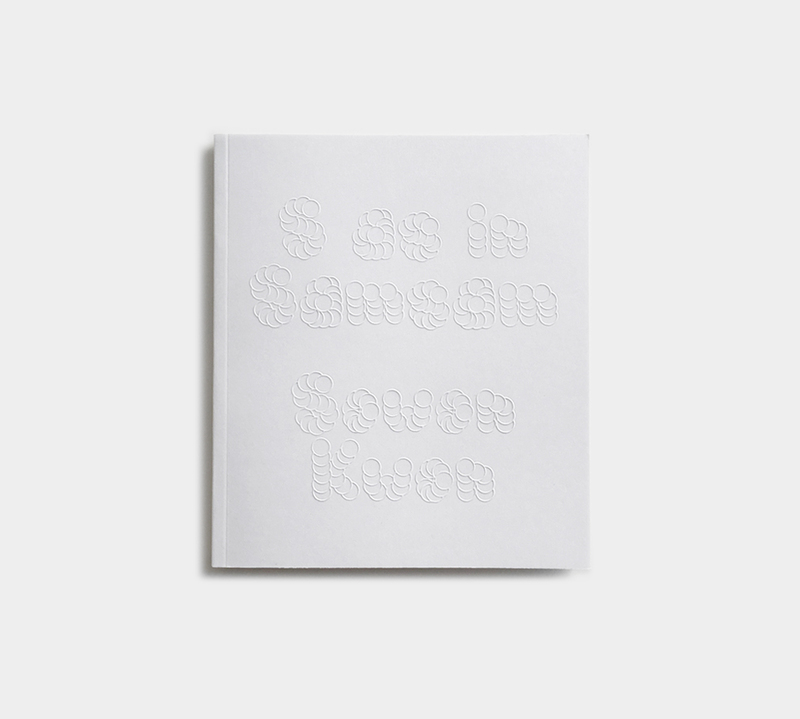 Perfect-bound with embossed cover, 60 pp, 6" × 7"
Sowon Kwon begins S as in Samsam by recounting her twentysomething cousin visiting New York City from South Korea. Having not seen the cousin since she was a girl with ribbons in her hair, Kwon wonders about the degree of formality with which to address her. She notes the importance, in Korean, of “establishing the correct amount of distance between you and another.” She goes on to ponder the coincidence of the homophony of the Korean slang term of respect and affection for teacher, Romanized as sam, and the diminutive of the name Samuel. Sam seems to crystallize the traffic between formality and intimacy, and even the touching of disparate language families. Kwon's episodic essay shuttles between memoir and wordplay, scrutiny of conventions of Korean speech and revelation in the coincidences of “I Dream of Jeannie” and Salome. Kwon, an artist, illustrates S as in Samsam with her own drawings as well as a bevy of found images. The book is an adaptation of an essay by the same name, published online by Triple Canopy in 2016 as part of Standard Evaluation Materials, an issue devoted to harmonizing bodies, regulating speech, and fixing time. Support for S as in Samsam has been provided by Triple Canopy’s Publishers Circle.